Automation Update is back! 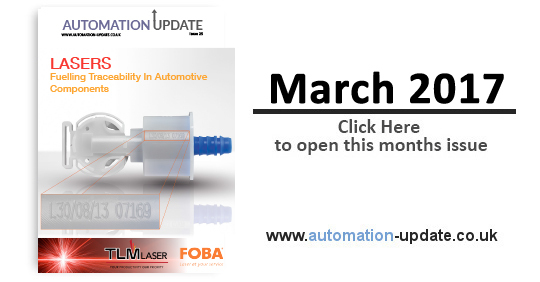 Please find the latest in Automation industry news within Engineering Update's sister publication. Shell Oil, GE Oil & Gas and Bilfinger Industrial Services choose The LOBO System over scaffolding, to increase safety and optimise cost. 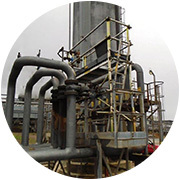 Innovative scaffolding solution saves leading oil & gas companies millions of dollars. Shell Oil, GE Oil & Gas and Bilfinger Industrial Services choose The LOBO System over scaffolding, to increase safety and optimise cost. This month the LOBO advanced platform system has been fully approved for use by the above companies at their sites in the UK and North America. John Norris has been appointed the Divisional Director for TC Specialist Services, part of TC Facilities Management (TCFM). 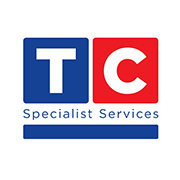 The appointment will see him take the lead in consolidating and growing the division at TC Specialist Services beyond the already established sectors the division is successful in. Industrial floor paints are a necessity in workshops, showrooms, and walkways, They are also essential in a laboratory, an aircraft hangar or a warehouse. 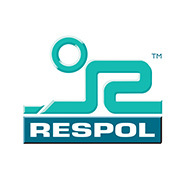 The range of demands for heavy-duty resins depends on the use to which the environment is dedicated. Some require a more decorative appearance with custom coloured finishes, while other surfaces need to be resistant to chemicals or heat resistant. Motioncompass provides engineering expertise 24 hours a day. Portescap is pleased to announce a new motor selector tool, MotionCompass™ – a web-based application that facilitates choosing a motor based on your application needs. MotionCompass will provide you with recommendations for our brushless DC and brush DC coreless products that best fit your needs, including all relevant data and performance curves. 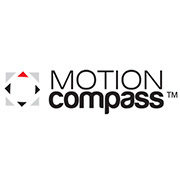 We invite you to register and set up an account with MotionCompass. Bury St. Edmunds – UK: As part of its comprehensive range of switching solutions, Herga Technology offers electric, infrared, USB and pneumatic hand control switches for demanding medical and industrial applications. 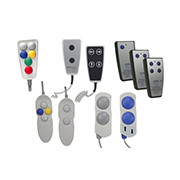 The range covers ergonomic designs that are easily adapted through a comprehensive ordering system for number and level of switches (buttons/bellows), colours, labelling, lead length, connection type and more. These standard versions are supplied with rapid ex-stock delivery for popular models. 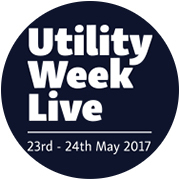 Transformation and flexibility are the two headline themes of Utility Week Live, which returns to the NEC in Birmingham on 23-24 May 2017 bigger and better than ever. Today’s utilities need to rise to the challenges of changing models of consumption and competition, the demands of sustainability and extreme weather, and political and economic upheaval: all these require a new approach from the essential businesses delivering water, gas and electricity to UK homes and businesses. Transformation and flexibility are therefore not optional for utilities, but the key to survival and success. Rittal has launched two new versions of its LED system lights, thus completing the range. Its series of specially designed lights now includes 600 and 400 lumens of light output (luminous flux), to add to the current 1200- and 900-lumen versions. This means that Rittal can now offer lighting solutions to suit all sizes of enclosure, from small housings right up to large systems. Specialist accountancy firm Finsbury Robinson have made significant efficiencies and streamlined their processes with the implementation of T Cards Online. Jamie Featherstone, Director comments, “The software is great, our accountants use it all the time and personally I love how simple it is. It has been really easy to implement and train the staff”. As our cities become increasingly congested with traffic and pollution, bicycles are proving an increasingly popular way to get around town more quickly and easily – and with the added benefit of zero emissions. At Statii, we have been operating in the manufacturing industry for decades. Long before the invention of ERP software and production control systems. Despite still dipping our toe into the manufacturing industry, software is now our core industry, instead or working for it… serving it. So, I thought I would write this article, after reflecting on the past year and hoping that 2017 brings a more positive outlook.